While traditional architectural education was characterized by the triad of form, typology and construction until the middle of the 20th Century, today issues of architectural aesthetics and building composition play a more marginal role in the education of architects. The goal of the 1st Dresden International Architecture Symposium attended by 130 participants was to revitalize the discussion in the area of architectural aesthetics. It provided a forum to assess the current discourse, and discuss current research, and its application to the practice of architectural design. The design of space and form is one of the primary competences that distinguishes architecture as a profession from other building disciplines. In the teaching of architecture, relaying principles of design mostly relies upon an instructors individual experiences rather than well grounded theoretical principles and therefore one hardly finds common ground in the curricula among different universities. The symposium addresses architects, artists and designers as well as professionals from the natural sciences and humanities who concern themselves with the design process and its principles. It aimed not only at building bridges between these disciplines, but also between research, teaching and practice of design in general. 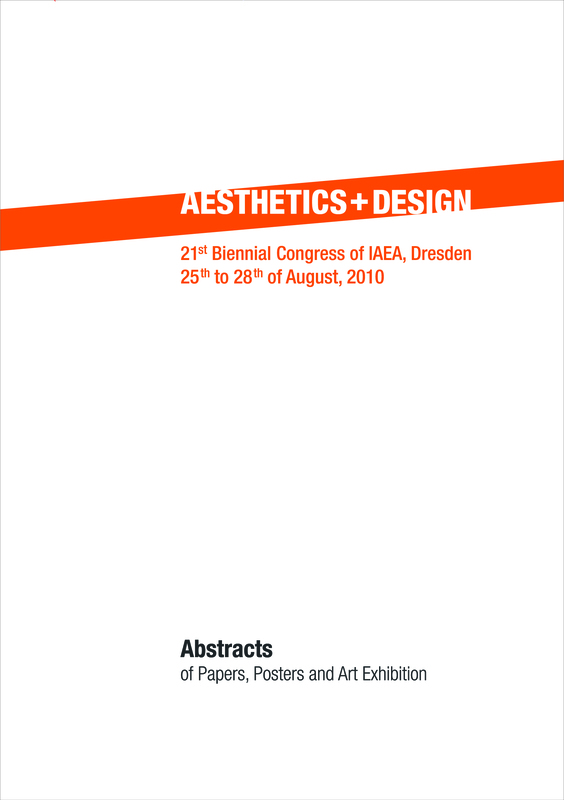 The International Association of Empirical Aesthetics (IAEA) and the Chair for Spatial Design, organized their 2010 Biennial Congress which attracted 160 international participants. Traditionally, the biannual conferences have focused on aspects of experimental psychology and the empirical social sciences as they pertain to the study of arts, the environment, or the role of the creative process. It was our intention with this conference to strengthen the discussion of the more recently emerging fields of neurocognitive approaches to aesthetics as well. While one of the main focii of aesthetic research have been the traditional arts there has been little involvement from members of such disciplines as art and design, for example. With this conference we aimed to especially encourage them to participate in the discussion. Can any findings from experimental aesthetics indeed be applied to the artistic and design practice? One of the intentions of this Congress was the opening of a dialogue between research and practice, between questions asked and answers by all of the fields. We therefore deliberately invited designers, architects, computer designers, fashion designers, photographers and others in the design disciplines to contribute to the discussions within this symposium.